Colombia’s national soccer team will face Japan on Tuesday in its first group game at the FIFA World Cup in Russia. Star attacker James Rodriguez is the only doubt for coach Jose Pekerman for the encounter at the Mordovia Arena as his side hopes for something similar to the 4-1 defeat of Japan at the group stage of the World Cup four years ago. Pekerman confirmed that they will “wait until tomorrow for a final check on his condition” in order to give the Bayern Munich player every chance of lining out for in the starting XI. Colombia go in to the game on the back of lackluster scoreless draws against Australia and Egypt after beating France 3-2 in Paris in warm up matches for the competition. “Los Cafeteros” captured the imagination of the public at Brazil ’14 with an explosive attacking brand of football and need to do the same this time round, according to midfielder Abel Alguilar. “We have to take the initiative. We’re a team that’s characterized itself for that. We need to have confidence to go up front. But we also can’t lose defensive strength,” said Aguilar to reporters on Friday. 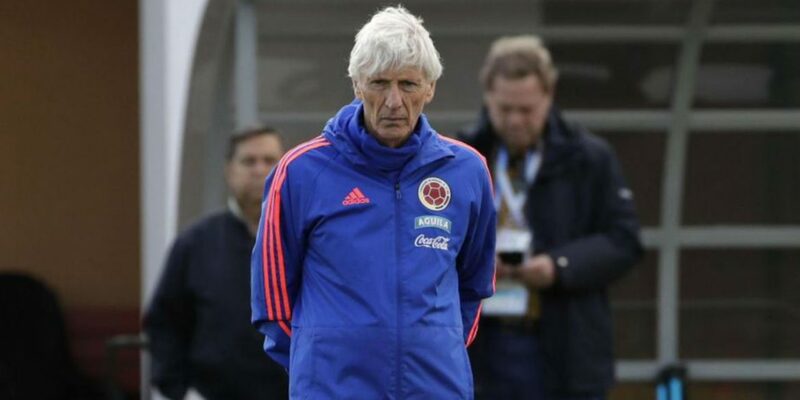 Colombia’s veteran coach Pekerman used in excess of 45 players during the qualifying campaign, making his team selections anything but predictable. Despite their inexperience, he is likely to pair 22 year-old Tottenham star Davinson Sanchez with 23 year-old Yerry Mina from Barcelona at the heart of the defense. With left-back Frank Fabra forced out of the competition with a cruciate knee ligament injury, Pekerman may opt for Girona’s Johan Mojica to deputize. Defensive midfielder Carlos Sanchez is almost a certainty to start with Pekerman often opting to play the experienced Alguilar alongside him. Colombia’s attack will be lead by record goalscorer Radamel Falcao, who cruelly missed out on the last World Cup with a knee injury with “El Tigre” forming a fearsome attacking trio alongside 2014 Golden Boot winner James Rodriguez and Juventus star Juan Cuadrado. Japan look set to be without Leicester City striker Shinji Okazaki who is suffering with a calf problem but midfielder Ryota Oshima and defender Gen Shoji are expected to be fit after they both recently returned to training. Japan head coach Akira Nishino, who took over in April, said last month that beating Colombia would be a “small miracle” for the team ranked 61st in the FIFA World rankings. Colombia’s Pekerman believes however that his side must respect the “Blue Samurais,” acknowledging the quality that the Japanese possess. “We are prepared for the quality of Japan. The World Cup is demonstrating that there are no first, second or third teams. We know that Japan was the first to qualify for the World Cup. It has a base with World Cup experience,” warned Pekerman at a press conference on Monday. Colombia will kick off against Japan at 7am (Colombian time) on Tuesday before facing Poland on June 24 with the final group game against Senegal scheduled four days later. “We want to do as well or better, but we have to focus on each match,” concluded the veteran coach.